The "wow factor." That's what Hy-Lite's Decorative Glass Fixed Picture Windows add to a room. Because of their classic designs and immediate impact, these windows transition a simple room into a showpiece. Whether you select elegant metal caming, wrought iron designs or light-filtering silk screens, the choice of design style and privacy level from Hy-Lite is all yours. You have more choices, too. Select from white, tan, driftwood or bronze vinyl frame colors to enhance your window and its setting. And, if you live in an area prone to harsh weather conditions, you can even choose a Storm-LiteTM impact-resistant window. 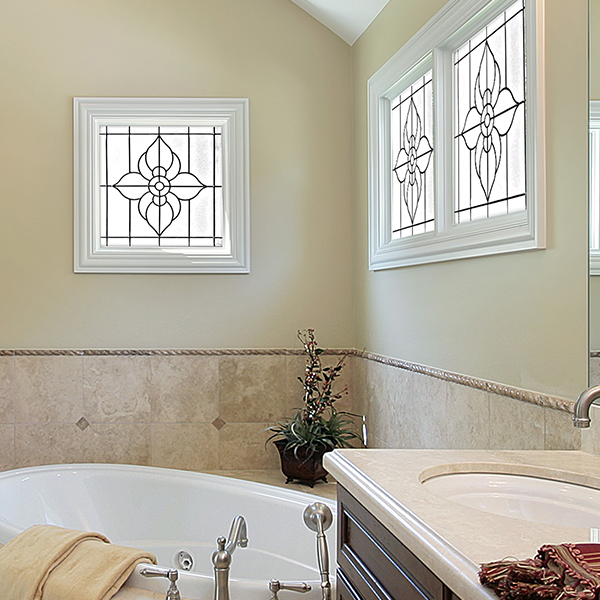 With a dozen unique glass design styles to choose from at Hy-Lite, there's certain to be a fixed picture window that complements the style of your home.